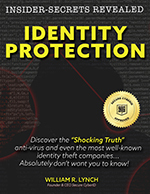 There was a time, when the internet was young and cyber crime was new, where a person could protect their identity online through the use of an antivirus program. Many of these systems came pre-installed in new computers, so most people never thought twice about their online safety. But as the digital age continues to expand and create more powerful technology, cyber criminals remain on the cutting edge. The programs which once safeguarded your most precious data now stand woefully unprepared to fend off the attacks of advanced hackers. By why can’t our tried and true antivirus programs protect us from these online threats? What has changed over the years to make this security software obsolete? And what can we do to keep ourselves protected in the future? Hackers are having success in bypassing antivirus software because they are creating new adaptable viruses every day. To be effective, antivirus programs have to be able to detect and remove viruses. In order for this to occur, the engineers who create this software need to understand what these viruses are and how they work. By doing this, they’re able to create the proper counter measures, which allow their creation to purge your system of known viruses. The creation rate of new viruses and malware has become an overwhelming issue for struggling antivirus developers. Newly crafted viruses have already done their damage before the industry has a chance to stop them. Then, once counter measures have been put in place, there are a slew of even newer malware programs causing issues, replacing the original threat. Traditional antivirus programs protect systems by identifying bad programs and stopping them through a process known as blacklisting. This worked well for a long time, but advanced targeted threats are now the norm, and they often manage to remain undetected in a system for long periods of time. When the antivirus program finally manages to catch up, the damage is already done. Viruses which bypass blacklisting move unseen throughout the system to gather passwords, corporate secrets, and personal information. Chinese hackers in 2013 managed to perpetuate a four day long cyber attack on the New York Times, completely bypassing their antivirus program’s blacklisting efforts. In this series of attacks, the hackers in question managed to retrieve the user names and passwords of New York Times reporters. Since its customized malware was not known by the Symantec antivirus program being utilized by the media giant, it went largely undetected until it was too late. Even if an antivirus developer find new ways to detect customized malware attacks, it still would not be enough. Most modern cyber attacks don’t even involve your computer. As the global community relies more on social media platforms like Facebook, Twitter, Instagram, and Pinterest, hackers have taken to this digital atmosphere to continue their malicious efforts. If cyber criminals manage to hack into a social platform, they can infect your personal profile in order to send out spam links to websites that will infect your system with malware. They also try to trick users into clicking fraudulent links, usually through a fake email claiming to be from a reputable site such as PayPal, Facebook, or Twitter. Once clicked, the link goes out to a malicious website which infects your computer. Hackers have also extended their efforts beyond social media to include cloud-based accounts, where we back up most of our valuable data online. In the early days of cyber crime, one needed to engage in some form of user action in order to have malware downloaded onto their system. Back then, you needed to click on a link or visit a malicious website to fall victim to its ill effects. File scanning proved to be a valuable tool in the fight against viruses, identifying threats before they were downloaded. Now, malicious online advertisements use legitimate websites to spread their content, which is then used to unknowingly install malware on your computer. Now, just by visiting a site that you trust, you can fall victim to a cyber attack. Antivirus software is not the one stop shop bullet proof protection that it once was. To that end, we need to adapt in order to protect our most vital information from cyber criminals. At Secure CyberID, we create a custom encryption plan that protects multiple adults across both computer and mobile devices. For more information, contact us today and find out how Secure CyberID can protect you in a way that antivirus programs cannot.